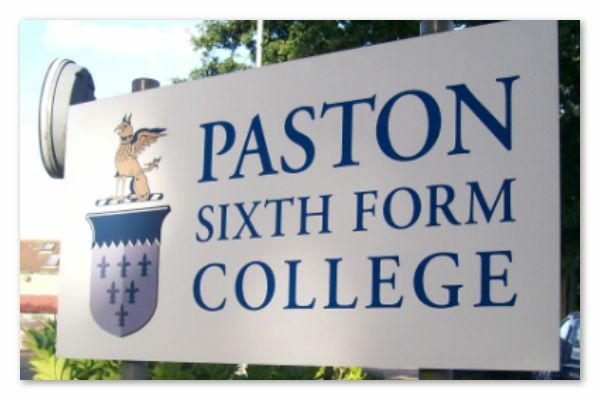 Our sign boards and rigid business signs can be made to any size and shape and used for a multitude of uses. 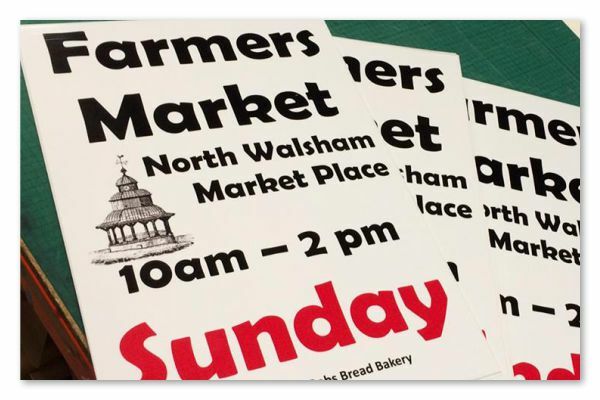 From simple directional to to shop fascia signs at North Walsham Signs we can cater to every requirement you may have in conveying your static message. There are 3 main types of materials we use for our rigid signs. Correx, Foamex and Dibond aluminium composite are the main materials we use depending on the environment where the signs will be installed. Correx is a white 4mm thick fluted corrugated material that is used for temporary indoor or outdoor display up to 2 years. It's a lightweight plastic that has hollow inner channels and can be decorated with either cut vinyl lettering or full colour graphics. Correx is a low cost material and is our budget sign for those who require a display solution that wont break the bank. Generally used for short term solutions such as promoting upcoming events and for sale signs. 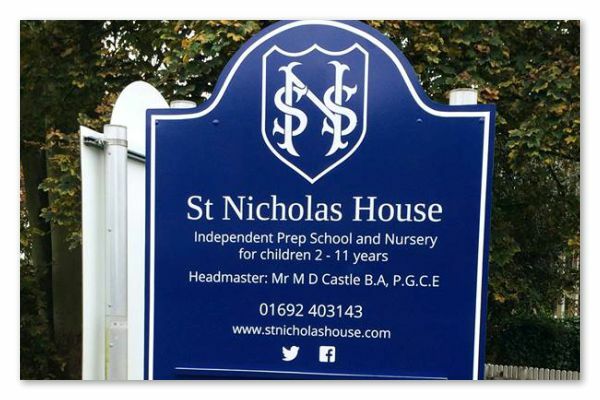 Foamex is a white 5mm thick PVC board which is our mid range material that can be used for long term signs both indoor and outdoor for up to 5 years. It's a semi rigid board that can be CNC routed to any shape and decorated with your choice of vinyl graphics from simple lettering to full colour images and logos. It's generally used in place of correx for those who are in need of a more robust solution in more demanding environments. Due to it's lightweight characteristics Foamex can be installed with ease on buildings and is perfect for shop fascia and exhibition requirements. It's fully weatherproof and can be simply wiped clean, it;s our most popular material to work with. Dibond / Aluminium Composite is a lightweight white 3mm thick material that is used for all long term indoor and outdoor display solutions. Manufactured with a polyurethane inner to absorb heat combined with a 0.15mm skin it predominately used for shop signs and hoarding board as it's extremely robust and durable. Dibond sign boards can be decorated with the graphics of your choice. From simple vinyl lettering to wide format digital graphics. For those seeking a professional finish combined with a long lasting high quality look then we recommend using aluminium composite as it's a material that won't fail in the most extremes of environments. In our workshop we have many printed examples of decorated sign boards for you to examine and get a feeling for the different finishes and quality levels. If you're unsure of which material to go for we're always on hand to provide the beat advise and we're always happy to work to any budget. 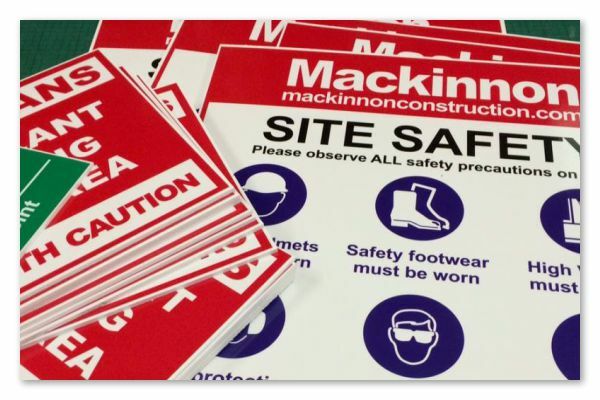 We offer a supply only and fitting service for all of our signs so be safe in the knowledge that we can service all of your business sign requirements.